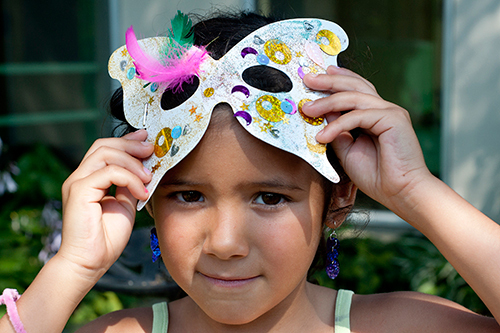 Get ahead with TDSB summer programs! At the TDSB we provide a wide range of enriching summer programs for children, youth and adults. The Inspired to Excel Africentric Pre-Kindergarten & Kindergarten Summer Learning Program is for children of African descent who will enter kindergarten in September 2019. However, all pre-school children are welcome to the program. The Culturally Relevant and Responsive Pre-Kindergarten & Kindergarten Program will draw on the strengths of the students’ diverse backgrounds to help them to develop positive self-image. All pre-school children are welcome to the program. Elementary summer programs are tailored to increase engagement and build self-confidence in our students. This summer, we are opening schools across the city to help build literacy and numeracy skills in students from Kindergarten to Grade 8. Find out more about elementary summer school. Open to all students from K to Grade 8, International Languages Elementary summer programs combine language and culture learning with engaging activities like games, songs, dance, storytelling and writing. No language background knowledge is necessary. 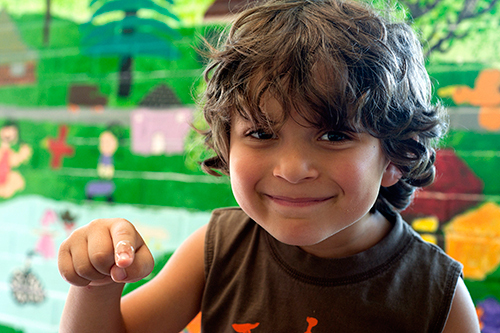 Find out more about the International Languages Elementary and African Heritage summer program. Join one of our three instrumental music programs this summer. For students in Grades 3 to 9, we offer two day camps in the city - Summer Sounds and Downtown Summer Strings. In addition, we offer Toronto Summer Music Camps, an overnight program at the Mono Cliffs Outdoor Education Centre in Orangeville. 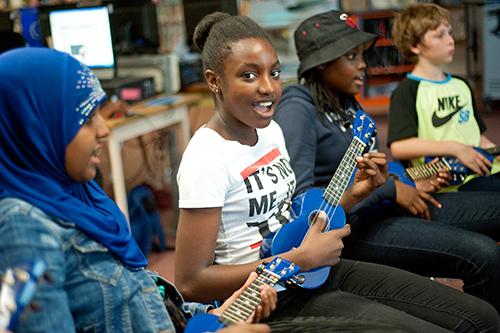 Find out more about our music camps. TOES offers a variety of traditional summer camp opportunities – both day and overnight camps from the Toronto Island to the depths of Algonquin Park. We offer rich experiences for students at a variety of age levels. Activities include: hiking, games, arts & crafts and much more! Read more about our Outdoor Ed programs, and registration information. Get ahead with secondary summer programs! Reach ahead or catch up on high school credit courses. Read more on our high school summer credit program..
Ontario high school students can keep cool and earn credits online this summer. Reach ahead or catch up on high school credits. There are dozens of courses available in session 1: July 2-July 29th, 2019 or Session 2 July 17- August 16th, 2019. Learn new skills and earn two credits in the workplace this summer. See here for more information on how to apply for a summer Co-Op or speak to your Guidance Counsellor. Learn English and explore Canadian culture, with the Toronto District School Board this summer! International students, aged 12-17, will enjoy intensive English classes - taught by our qualified teachers - at world's most multicultural and multilingual school board. Visit www.creditprograms.ca for more information. Learn English with TDSB this summer! Build your literacy and English language skills. Learn about your community and the services available. Prepare for further education, citizenship and language proficiency tests. Improve your conversation skills. 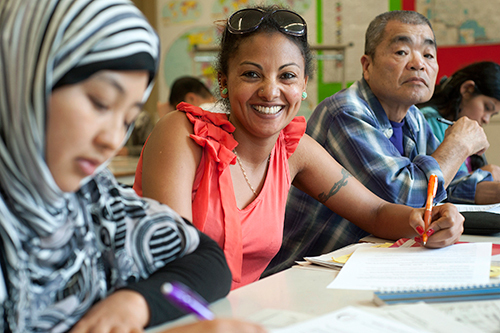 Discover our bilingual programs, where English is taught with the help of other languages.